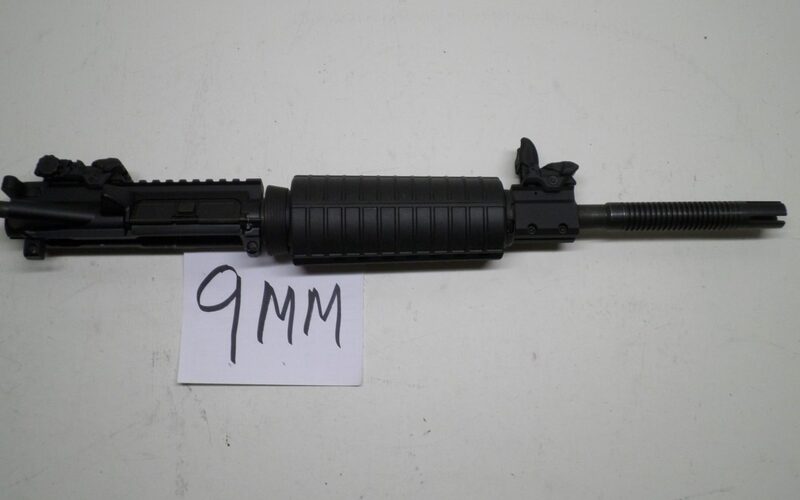 AR/M16 9MM Upper Receiver in New Condition. Flat top with peep sight. Bolt and carrier included. You only need a magwell adapter to shoot 9MM. $495 delivered.